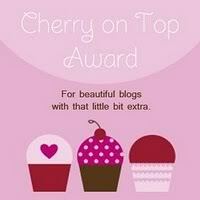 Thank you to Heather at The Road Less Traveled for nominating me for the 'Cherry on Top' award! In my third day of my 2WW, this really made my day. And, my fellow teacher, you know how hard that is to do when you're less than three weeks from Winter Vacation...the kids are crazy! Tishi at Learning to Swim in a Sea of Baby Bumps - because I thought it was hard being a teacher and not having kids, but she is going to have to keep her (delightful) little secret from all those preggos she works with! H.C. Bishop at Life as a Navy Wife and Everything Else - because she's sassy and fun, and she's going to be 3 weeks along soon! Yay! Ana at Our Pregnancy Journey - because her story makes me believe in science, and she makes cute blankets, too! Thank you, ladies, for all of your support and help. I heart you! Congrats Ashlee and all of Ashlee's nominees.